find you at the moments that matter. Who is your target audience and what is their search intent? To attain the best results with search engine optimisation you must take the time to develop your most appropriate keyword phrases. Selecting keyword phrases that are commonly used in your industry may not serve you well because your clients often will use a completely different set of search terms. Google Adwords is a relevant real time distribution on a massive scale. Campaigns are built & managed using search terms and ads to target your customer who are ready to buy. Product display campaigns can generate low cost conversions. Real market data based on web traffic & in-house sales tracking is used to adjust strategies. Google loves unique and authentic content. 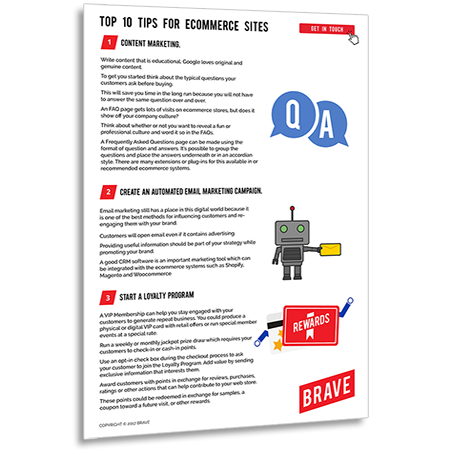 Provide useful and valuable content on each webstore page. Rich content, needed information, is more likely returned, saved or shared. When working with our clients, we are always asking them to set the tone. To use their organisation culture as a guide to how to write their content. A good copywriter is a great investment. Customer focus has allowed Brave to enjoy many long term relationships. More than 20 years of proven track history with retail and corporate clientele. 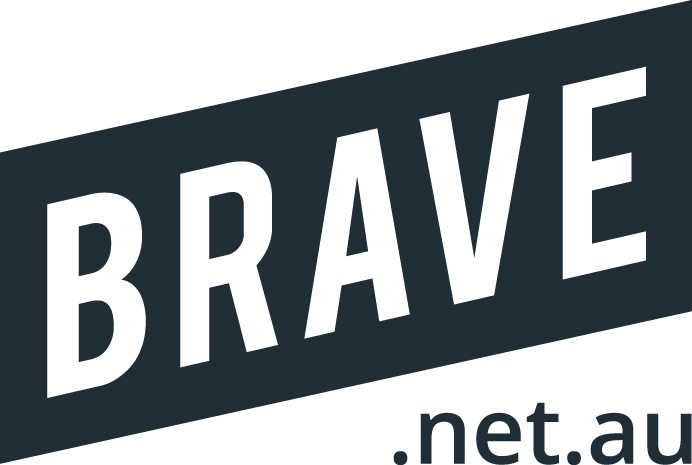 Brave can show you how to reach out to your existing customers.